Another EIG owned hosting brand, HostMonster offers shared hosting, VPS and dedicated servers. They also provide Linux hosting, which is something nearly all owners of starter websites need. Are they any good? Let’s go through our findings. + a FREE DOMAIN NAME worth $15. When you visit the site, it will say $4.95, but once you start the sign up process, a pop-up will appear with the $3.95 per month offer. Here’s what you get for just $3.95 per month. 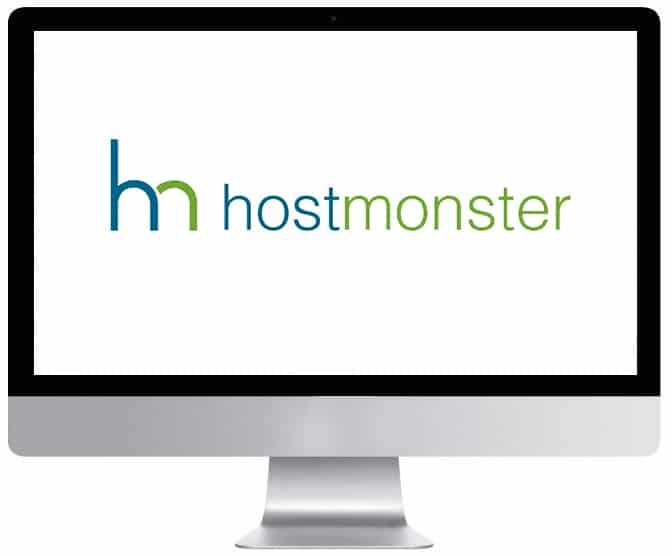 As with many other hosting companies, HostMonster is one that’s owned by Endurance International. In addition to offering VPS and dedicated servers, they also provide Linux hosting, which is something nearly all owners of starter websites need. As with the majority of hosting companies, HostMonster also provides complimentary web hosting services, as well as a website builder and email. As with their sister brand, Bluehost, their data center’s location is in Provo, Utah. What’s interesting is a significant portion of their branding replicates that of JustHost and Bluehost. Even though one of my long-standing clients uses HostMonster, it hasn’t been until now that I’ve written about them. I decided to structure my review with pros and cons both from a consultant and customer point of view. While there are a plethora of reviews available online for HostMonster, the majority of them are user-generated based on personal experience or anecdotes. Even though this approach is okay, I prefer to take a different approach regarding my reviews. As I’ve mentioned in my previous reviews, there’s no such thing as a web hosting service that’s “the best” in comparison to others. However, this is one that’s “the best” when it comes to being the right fit for your budget, goals, project, experience, and expertise. Even though I’m going to cover their pricing and plans in the cons section, it’s worth mentioning here. HostMonster’s plans and pricing work as a disadvantage to consumers. However, they will provide deep discounts during the first year for each of their products. For those who are attempting to save a significant amount of money during their first year starting their website, HostMonster will typically place discounts on their Basic Plans for $3.95 monthly and their Plus plans for $5.95 monthly. It’s crucial for consumers to take into consideration what they’re receiving in comparison to what they’re paying. However, for those who are beginning with a website that’s small, these deep discounts are advantageous. If you’ve never done it before, setting up a website can be a daunting process. It should be a straightforward and guided process. Users should be able to access the billing, settings, and server straightforwardly. Even for those who have operated websites, scripts, and email programs, you still want to have a simplified way to accomplish the things you need to complete. Regarding the backend of its hosting accounts, HostMonster uses cPanel. Because cPanel is one of the industry’s standards, users will find a myriad of guides available on the Internet. Even though the interface isn’t pretty, it’s very user-friendly. HostMonster has also simplified their billing process and profile settings by integrating them into cPanel. What’s more is they’ve done so without creating too much clutter with ads and upsells. When users first sign up, they’re pointed directly to the backend so they can dive right into their project without seeing any other intermediate screens. Under most circumstances, options for a WordPress auto-install will appear with information for the server in the sidebar. Users will also receive an auto-generated email confirming registration and containing account information. One of HostMonsters most significant advantages is that it isn’t cluttered up with ads and upsells like other hosting companies who use a proprietary backend like 1&1 and DreamHost, for example. Even though HostMonster’s color is a hideous green, it’s backend is clean and straightforward. They also have an app install process that’s straightforward. The installation process they use is by MOJO marketplace. Endurance International owns this them and template provider. While this one-click WordPress process for installation does have a few upsells and ads, it’s still useful and simplified. Because HostMonster uses MOJO marketplace, which is a premium theme and marketplace, there’s a solid selection of scripts and apps available. The only downside is there are MOJO ads, but they’re otherwise straightforward to install and use. While this isn’t a significant advantage, I’m still considering it a “pro” in comparison to other providers in the industry. As with any hosting company, there are disadvantages to using HostMonster. Consumers will find just as many complaints floating around the Internet as they do positive reviews. Some of them are valid, while there are others that are anecdotal. Either way, I’ve compiled some cons during my experiences with HostMonster hosting. One of HostMonster’s most significant disadvantages is how they price their hosting. There’s no way around how to see things – short-term pricing, long-term, simplicity, or total value – for what they’re selling, HostMonster is too expensive. For those who are using JustHost and Bluehost with the same pricing structure, they’ll see they’re receiving more for their money. It’s always been notoriously difficult to compare pricing among hosting companies. The main reason is that hosting companies feature different renewal prices and different bonuses, and different caps with different plans. It can sometimes be maddening to figure out what you’ll be paying every year, as well as monthly. When looking at hosting plans, it makes better sense to me when I break them down into features for Bonus hosting and Core hosting. In doing so, I not only can see what I’m paying for but also how it compares to other providers. There are “three D’s” when looking at Core hosting and they include databases, disk space, and domains. They all work in relation to the hosting server’s core purpose, which is to ensure files are served to the website each time your domain name is typed by an individual. Databases are the number of software pieces your website runs on your hosting service. For example, you’ll need one database to install WordPress. If you’re running apps like Listservs, for example, you’ll need another database. Disk space is the number of files you’re using on your server like images, texts, videos, and so on. Domains are the names for the domains you’re using to point to your account for hosting. For example, for those who are operating more than one website, you’ll need multiple domain names. It’s critical that you ensure you have enough email addresses for your domains because those are sometimes capped. Even though the prices have monthly prices listed, consumers must pay a one, two, or three-year contract. As a side note: when HostMonster states that they have unlimited hosting plans, that is defined as one that’s “unmetered.” What this means is that they won’t actively keep track of the activity on your website. However, they will keep track of your server’s total resources. All websites have a limited amount of resources – even Amazon has experienced a crash in its history. Therefore, it’s all about the company managing its server resources. The bottom line is, HostMonster doesn’t cap the user’s usage. However, they do reserve the right to close websites overusing server resources. When users opt for the Basic plan, HostMonster will impose heavy caps on domains, databases, email addresses, and disk space. When comparing the Basic plan to their sister brands, they’re more expensive than Bluehost and HostGator, as well as independent starter brands including Web Hosting Hub. For those who are selecting Plus or Pro plans, they’ll see a few caps, but the expense is still more significant in comparison to sister brands including InMotion, HostGator, and Siteground. Consumers will find that, when selecting the Plus and Pro plans, HostMonster attempts to inflate their value through the use of Bonus features. The majority of their features are more complicated than they’re worth (free SSL and global CDN), of questionable value (“$150 in marketing offers” and “2 Spam Experts”), or devalue other plans (“High Performance”). However, for those who are setting up one website without an email address and aren’t in need of any extra bonus features, the pricing for HostMonster is decent. However, in my opinion, you’ll find a better product featuring more optimal pricing elsewhere. As I’ve mentioned in my other reviews for hosting, it’s tough to judge customer service on individual levels. It’s impossible to honestly know the full story when reading another individual’s anecdote. No one knows the context of another person’s help session. It’s not possible to know if they encountered the worst consultant or one of the best employees. Instead, it’s my opinion to attempt to figure out what the company’s views are regarding support as an investment, cost, or upsell opportunity. • What’s their accessibility regarding their number of customer support channels? • How much is the company investing in DIY support? When I first started using HostMonster, their customer service seemed fine. They have support across chat (24/7), email (24/7), phone, knowledgebase, support tickets, a user forum, and video tutorials. However, when you visit their user forum, it fails to load. When users visit their knowledgebase, it isn’t updated as extensively as others I’ve seen through competitive hosting companies. I also found broken links littering the page, as well as design choices that were poor. It appears that they once invested in resources for support, but stopped at some point. Even when the product is fine, no one wants to buy it if a big company hasn’t fully invested in it or has forgotten it exists. Take, for example, an apartment complex that’s forgotten about by a landlord whereby it doesn’t experience upgrading or remodeling. Or, for example, vehicles that will work but the owner isn’t investing worthwhile upgrades. HostMonster is beginning to feel like a brand that Endurance is forgetting. Their sister brands including Bluehost and HostGator are receiving new services and splashy new designs. However, like JustHost and iPage, HostMonster remains stagnant with low-cost stock imagery, outdated design, and links that are broken. What’s worse is it isn’t necessarily the basic design or stock imagery that hurts their servers. Instead, it’s an indicator regarding how much the owners and management care about the HostGator and subsequently provides a bird’s eye view into the culture of the company. In comparison to their sister brands, and competitors operating independently including DreamHost, InMotion, SiteGround, HostMonster’s business and brand appearance is its disadvantage. Not only are users paying their hosting company for placement for their website to live on the web, but they’re also expecting the service to “deliver” their website quickly to all of their visitors who type in their domain. Many factors contribute to how fast an individual’s website will load. Everything from the type of website they’re operating to how image heavy it is to where your visitors are located (as well as hundreds of other factors) contribute to their website’s speed. Users must keep in mind that, no matter how much they optimize their site for speed, it won’t make any difference if they’re working with a hosting server that’s slow. One cannot indeed make a judgment regarding the speed of a server without obtaining behind the scenes access. However, users can look at the TTFB (Time to First Byte) to receive a ballpark figure regarding how well their hosting company’s server is operating. The definition of “Time to First Byte” is how quick a server will send the first byte of information back to the browser after a request from the browser has been made. When testing HostMonster against my website, the results weren’t optimal. I’ve worked with several well-known web hosting company as a consultant and as a customer. Therefore, I’ve compiled a list of how HostMonster compares to each of them directly. Endurance International owns HostMonster and Bluehost, which are sister brands. The same datacenter is shared by each company. Users will also find that their plans are the same, as well. When getting down to the bottom of it, I would select Bluehost. Endurance has chosen them as one of their marquee brands and, out of the two, they’re receiving the most attention in comparison to HostMonster. Bluehost WINS. HostGator, like Bluehost, is very well known in the hosting industry as far as brands go. Because they’re also owned by Endurance Internation, HostGator is another sister brand of HostMonster. Similar brand names ( Gator & Monster ) however that’s where the similarity ends. Operations for HostGator occur out of Houston, the company has a different brand focus, and users will find a different pricing structure. The company’s primary focus is on starter websites. Therefore, they offer better features at more affordable prices. Because they provide monthly billing options, it makes them a more optimal choice. I’d select HostGator between the two based on their affordability and billing options, not to mention Hostgator’s superior load speeds. Hostgator WINS. What’s most significant about InMotion is that it’s an independent hosting company that’s owned by employees and not a large corporation. It’s also one of the largest and fast growing independent hosting companies in the industry. I’m currently running this site’s VPS server using InMotion. The company has better performance, pricing, and support in comparison to HostMonster. Ultimately, in my opinion, I found the hosting through HostMonster to be a less than an optimal option for the services they’re selling. For those who are operating a small website and like the services they’re providing, this hosting company will work just fine for what you’re doing. However, you can find a much better hosting company for what you’re investing in over time. Want to leave your own review about HostMonster? If it provides value to our visitors then we will publish and send you $30. Note that not all reviews will be published. To be in with a good chance of your review getting published then you will need to write valid, unique, resourceful and helpful reviews – this can be either positive or negative. All the best with your review!! !